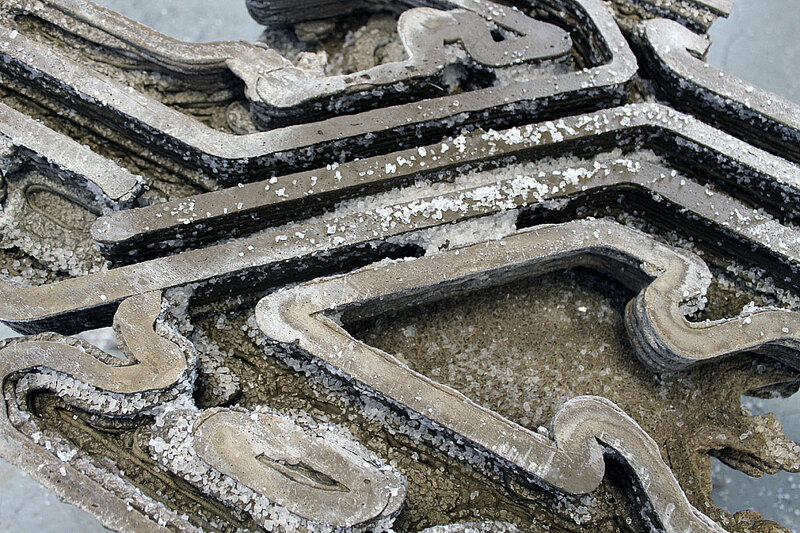 The method fuses two pre-existing 3D printing techniques - extrusion and powder printing - that produce a supported extrusion. 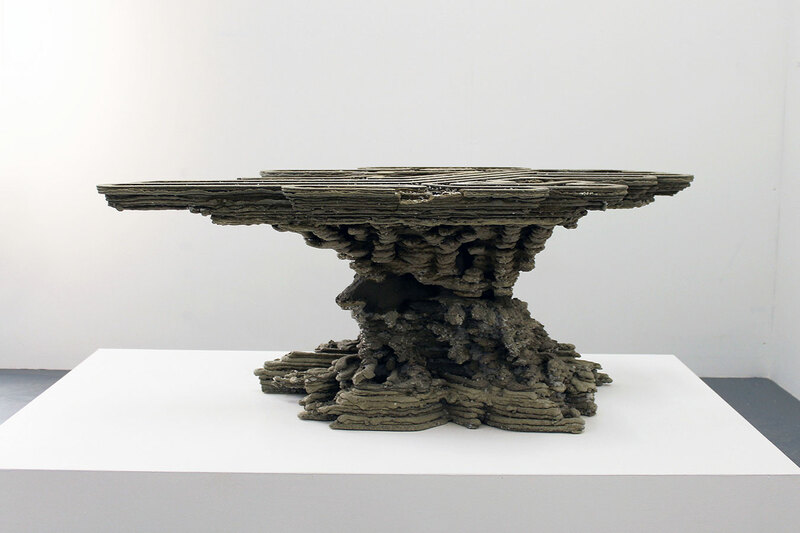 The idea is that a supported extrusion can create structures that are more varied and volumetric, versus the straight, vertical forms currently being used in 3D concrete printing. 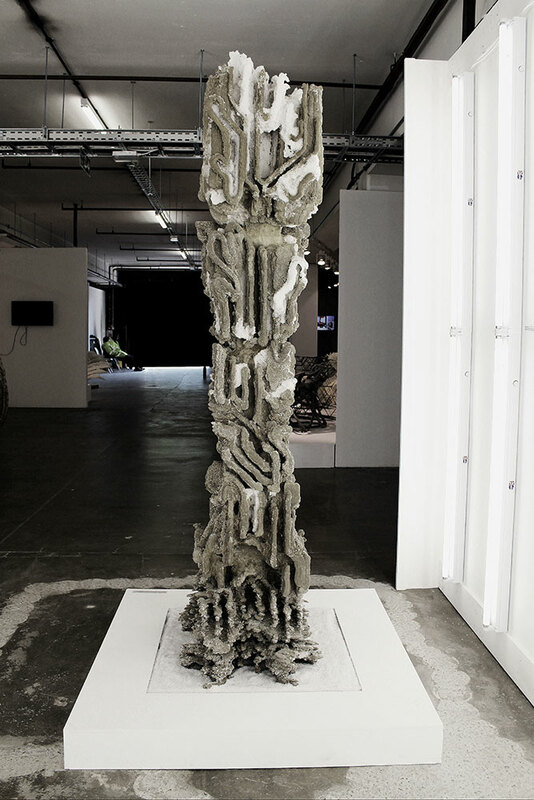 The concrete is extruded one layer at a time to sit over a bed of granular support material, the support giving the concrete a much higher potential for creating unique shapes. 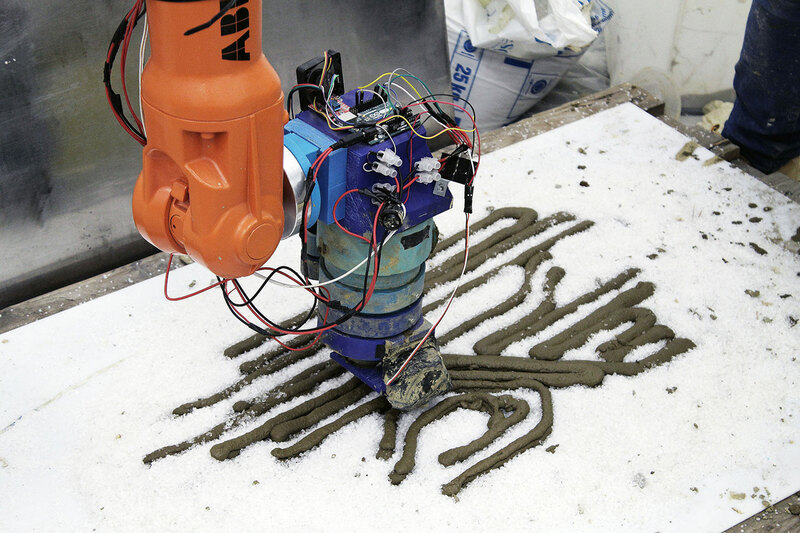 A robotic arm follows a pre-set path to extrude the ready mixed concrete across the support layer, pumping the concrete through the customised tool head to a 1cm resolution. Each time a new layer is extruded the granular material is deposited around it for further support. To further advance the structure, a binder was used in the extrusion phase that hardened sections of the granular support, thus creating a multi-material form. The concept was created by a team of masters students at Bartlett School of Architecture as part of the Architectural Design program. Named Amalgamma, the team is made up of Alvaro Lopez Rodriguez Francesca Camilleri Nadia Doukhi Roman Strukov, who labelled the research project 'Fossilized'. 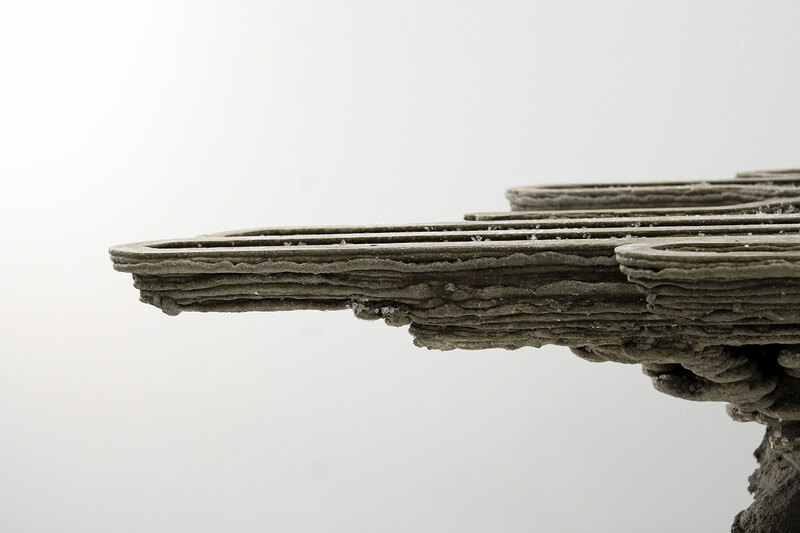 Amalgamma says the project challenges conventional prefabrication techniques through, 'questioning the nature of the fabricated piece'. 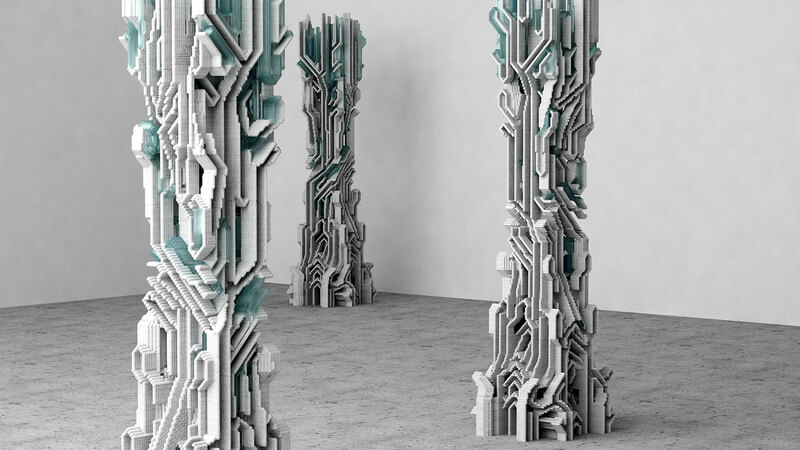 Despite being difficult to 3D print an entire structure from start to finish with fabrication restrictions, it may be plausible to print various chunks of a building or structure, that are independent, for instance, a stair-floor-wall assembly or floor-wall-ceiling assembly.